To improve your smile, all you need to do is pick up the phone and make an appointment with Karen E Williamson D.D.S. in Rockwall. We have cosmetic dentistry procedures that address a host of aesthetic issues. A whiter smile can change your life significantly. Many of our patients feel more assertive in personal and professional settings with their new, whiter smiles. And who doesn’t need another reason to smile? One of the most popular cosmetic dentistry procedures is teeth whitening. Over-the-counter products can be effective, but have their limitations. 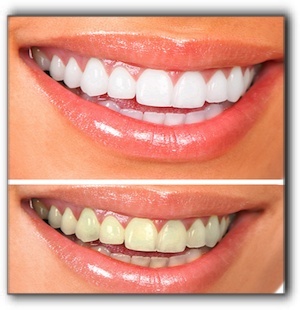 Professional teeth whitening gives you incredible results in as little as one office visit. Porcelain veneers are another popular options. Made from thin, medical-grade ceramic, porcelain veneers are attached to the front of your teeth. They cover chips and cracks, and leave you with a dazzling smile. To find out all that cosmetic dentistry has to offer, call the office of Karen E. Williamson D.D.S. in Rockwall to schedule a consultation. We also practice general and family dentistry.